I sent you the last of my material to be refined & I have always been happy with the amount returned and thank you for being an honest business man. I wish you and your family good health, good luck and good fortune. I received the check the other day. Thank your for your superb customer service. I'll be sure to recommend you to all my friends and family. Hafa Adai Stuart, I just wanted to say thank you for the fast turn around time, I do appreciate you and your crews thoroughness. Have a great day. Stuart, everything was great! recieved my silver shipment today. i'm very satisfied with the entire process including the communication. 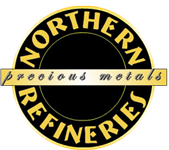 Copyright © 2014 Northern Refineries. All Rights Reserved.